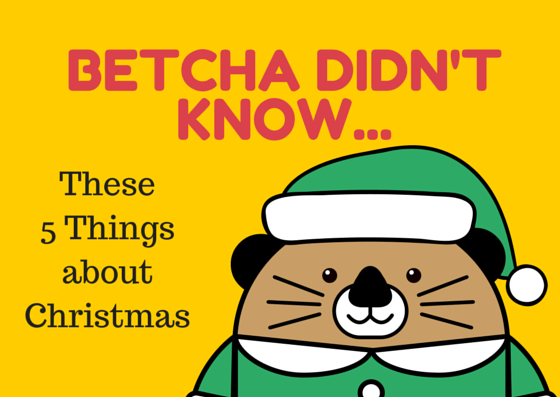 Did You Know These 5 Facts About Christmas? Ah, Christmas! The lights, the sounds, the forced family fun! Putting up the tree, decorating the house! It’s been this way since I can remember. Did you know… Pope Julius I, in 320, didn’t like seeing the birth of Christ celebrated on so many different days and so declared the 25th as the official birth date of Christ. YOUR TURN: What’s something you know about Christmas that I or others may not know? SHARE in the comments below!! I love these facts. Yes a lot of the Christian holidays are around other things in history that the they wanted to make better. Look at Halloween. I know Sandy!! I found so much information about the traditions we have regarding holidays. Some of them are unbelievable!